My time in Quito was like none other. I’m used to being around kids, whether it’s from being with my younger siblings to nannying to teaching younger kids how to swim; however, actively teaching a whole group of kids english and other subjects was an experience. It was fun. I not only got to see them learn something (willingly), i also got to see them grow in the short I was with them. I have never met a livelier and lovelier group of kids. Being with my team from Michigan was fun. Without The Quito Project, I wouldn’t have had the chance to make the friends I did, especially the ones I made who went to school in Quito. I wouldn’t want to get lost with any other group of students. The days went by too quickly, but that month in Quito is one I definitely won’t forget. I cried on the last day of camp. “¿Por qué estás triste?” Karol, a five-year-old student, asked me. I smiled through my tears. “Porque es el último día, y no voy a verte nunca más después de esto.” She kissed me on the cheek, and I felt the bittersweet end of the challenging, frustrating, rewarding, heart-full-of-love three weeks that we had spent, tutors and kids alike, working and growing together. I’ve always known that I’m not a people person and that all I want to do with life is to work with animals and not talk to humans ever again, but being a part of something as special as TQP made me realize that humans have the ability to come together with differences but still appreciate what we can do and make together. TQP helped me discover an ineffable emotion inside me that actually appreciates the days spent chasing after kids who don’t listen and the frustrating hours spent trying to teach the complexities of English grammar, that wishes everyone could have the chance to experience the world through different cultural lenses and perspectives, especially those from a child’s eyes. 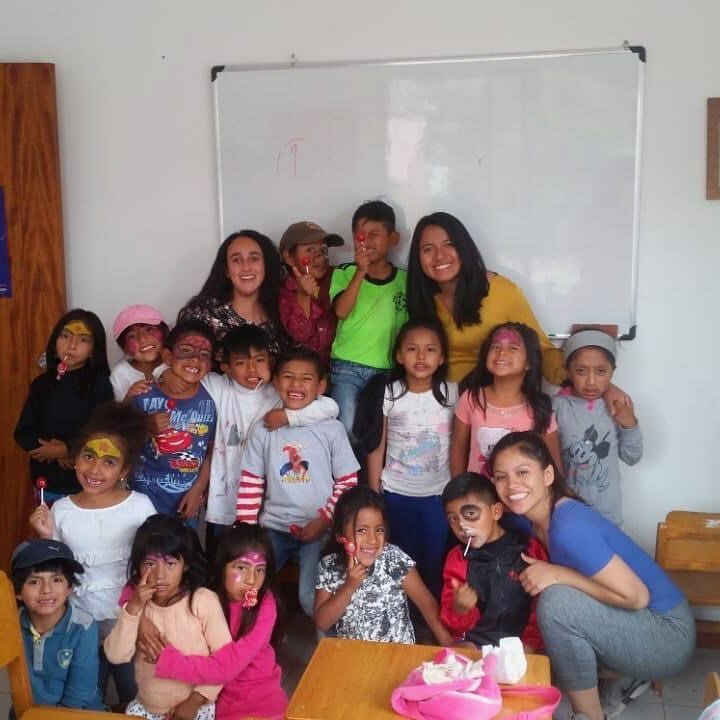 And in the future, when I’m off chasing some elusive animal in the jungle far, far away from human contact, I know I will be grateful for the chance TQP gave me to connect with the kids in Quito all those summers ago, no matter how far apart we may be. Coming into The Quito Project I didn’t really know what to expect. All I knew was that I was super excited to be able to visit Ecuador and help teach a group of kids. I wasn’t aware of the rewarding challenges I’d face while down there. Personally, I’ve never been out of the country and I definitely suffered from homesickness at times, but my Quito Project friends quickly made Ecuador feel like home. The support system we built for one another was so quick and close-Knit that I knew we’d remain friends for the years to come. Because we got along so well, the camp became easier to handle. We all helped each other if we needed advice on a lesson or how to approach one of the students that was having a hard time. I’ve never met a group of more genuine and loving kids. The last day of camp was hard. You say goodbye to them and you realize you’ve already become attached. But you’re left with a comfort that this program will keep on going and more and more kids will get to experience something amazing as this!